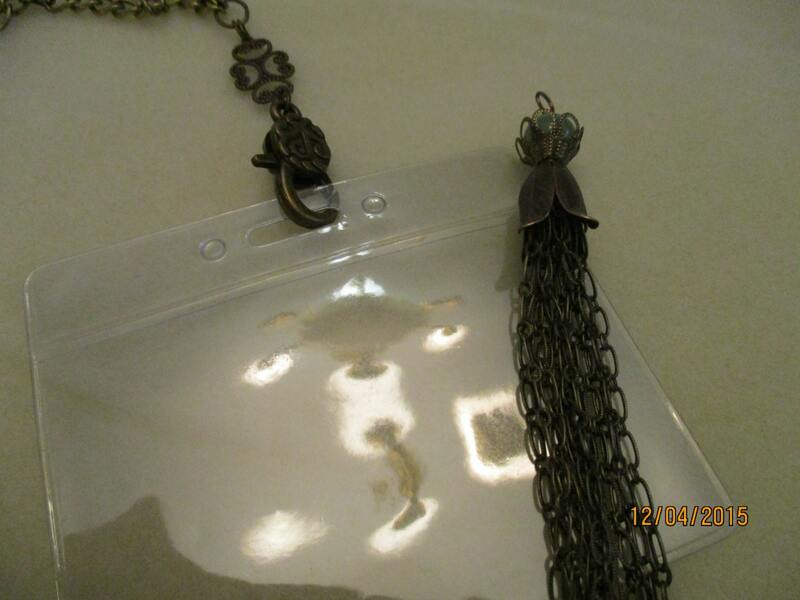 Lanyard is 33" (84cm) long. 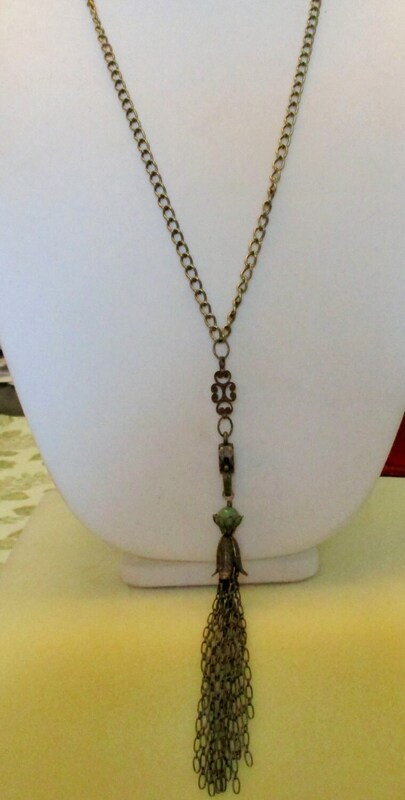 Detachable tassel is 4 1/2" (11cm) long. ***If you need a different length let me know in comment section at check out. ***This lanyard does not have a clasp, however, if you would like a lobster clasp with 2" extension please choose in the field above. 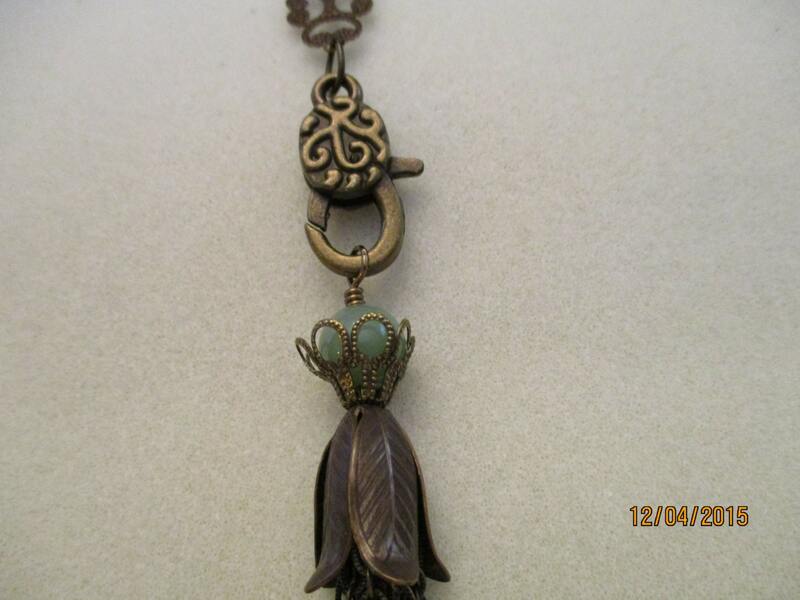 Lanyard includes 10mm (1/3") green aventurine. 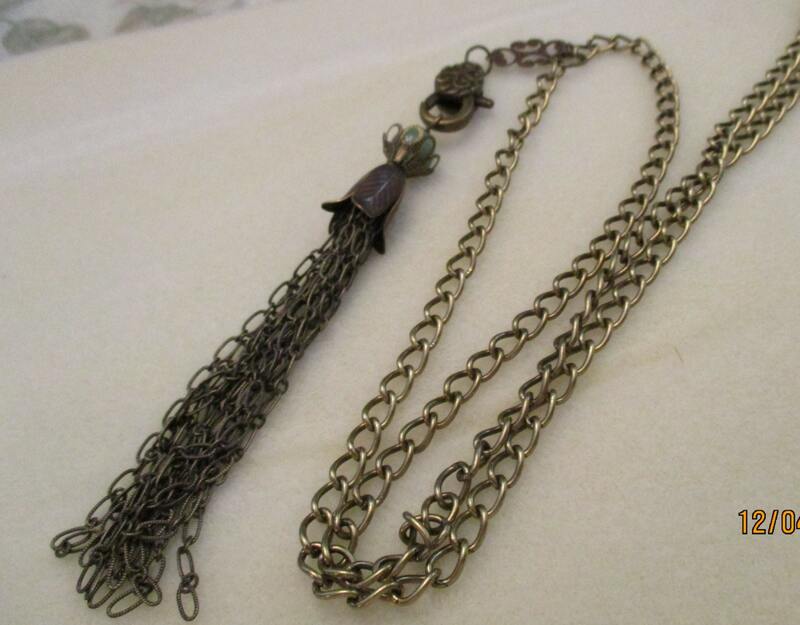 Clasp, chain, cone and connectors are antique brass.